Peter Aprile and Natalie Worsfold interview Andrew Currier, co-founder of PCK IP. Peter, Natalie, and Andrew are three people that are, arguably, way too excited about the power and application of workflows in law. The group provide listeners with a crash course on workflows: what they are, why you should use them, and how to implement them. Also, Peter, Natalie, and Andrew share Counter Tax Lawyers' and PCK's path to freedom, efficiency, and quality and explain why, even with all the pain and suffering, “nobody would go back now”. Andrew is a recognized leader in intellectual property, combining experience in industry, law and academia before co-founding PCK. Andrew’s industry experience includes General Counsel for a publicly-traded flat-panel display company, IP counsel for a Silicon Valley start-up, and engineer for the automotive industry. Andrew combines the traditions of professional excellence with modern business savvy. As co-founder of PCK, Andrew spearheaded several innovations in professional practice management, notably PCK’s paperless practice which includes state-of-the-art electronic workflow and billing engines, a subject on which Andrew speaks regularly. This work has placed PCK on the forefront in the use of advanced software to efficiently deliver tier-1 professional services using transparent, “CFO-friendly” cost management tools that focus on client value rather than opaque billable-hours. 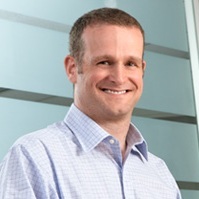 Andrew’s breadth is expressed through his practice, as he counsels clients on all aspects of intellectual property, including strategy, invention mining, branding, portfolio management, commercialization, litigation and dispute resolution, built on a core foundation of excellence in originating patent and trademark preparation, filing and prosecution. His clients span the range of start-ups to large enterprises, and he takes pride in bringing his skills to the corporate journey all the way from founding to scaling and maturity. Peter Aprile: [00:06] Hi. 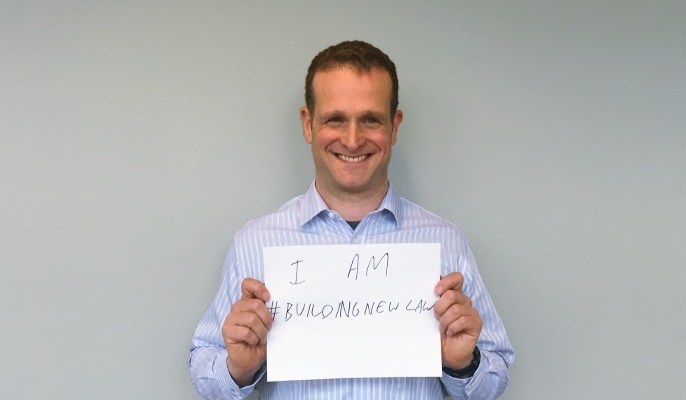 Welcome to “Building NewLaw.” It’s a podcast hosted by me, Peter Aprile, and my colleague, Natalie Worsfold. In each episode, we interview lawyers, legal technologists, and other like‑minded people at the forefront of NewLaw. Sponsor: [00:26] The Building NewLaw podcast is supported by Counter Tax Lawyers, a new type of tax controversy and litigation law firm. To learn more about Counter, go to countertax.ca. Natalie Worsfold: [00:42] Today, we’re speaking with Andrew Currier. Andrew’s a patent agent, a trademark agent, and a lawyer with the firm PCK, an intellectual property firm. PCK is a fascinating firm. [00:58] Andrew’s taken a lead role in combining his engineering background with some of the more creative processes he’s implementing in the firm. PCK is a perfect example of building NewLaw. Peter: [01:08] Andrew is a great example of the power of this podcast in the early stages. I asked a lawyer named John Wires, who works here in Toronto, to recommend law firms that are building NewLaw. Andrew was at the top of John’s list. [01:20] I reached out to Andrew and immediately on speaking to him, our interests in terms of building a law firm and how to build a NewLaw firm were quite parallel. It was great that John connected us with Andrew. We’re really happy to bring Andrew to Building NewLaw to gain some insight from him. [01:34] In speaking to Andrew and talking about PCK, we quickly identified that both of us were very much obsessed with workflows. Natalie: [01:41] We’ve narrowed our conversation with Andrew today to workflows and the background, why they’re important, and how he’s using them in his firm. Peter: [01:49] What are workflows? Natalie: [01:51] Best way to look at a workflow is as a process map, or a flowchart that sets out the various steps that you’re going to go through in any particular procedure or process. You’ll see at a high level, it’ll set out each step. Then within each step, it’ll identify the tasks you’re going to go through to complete that step. Peter: [02:08] We’ve used workflows as part of our practice to do frankly everything. Natalie: [02:13] We were really excited to talk to Andrew about his firm and his experience with workflows. Here is our interview with Andrew. Peter: [02:18] We’re here with Andrew. Andrew, what is a workflow? Andrew Currier: [02:26] Workflows are actually a very old concept. Engineers have been using them for an awfully long time to do things like building bridges or executing any type of project. You can look up in Wikipedia the term “Gantt chart,” and you’ll see that the concept has been around for a long time. [02:41] Basically, all it is is a way of taking any particular project and dividing it up into a series of sub‑tasks. Then, setting start and end dates for each one of those sub‑tasks. [02:50] For example, in McDonald’s you might head in and say, “I’d like a Happy Meal.” You’ll see the person on the cash register hit a button, which will actually send instructions out to different people in the restaurant. [03:00] Each one of those instructions represent a task. Filling up the pop, making a burger, putting some fries together. They’ll be a timer attached to that, which has to be all complete, and then brought up to the main cash register. Peter: [03:10] There’s a process to build a Happy Meal. How does this apply to law? Andrew: [03:13] This is something that lawyers have a long, hard time grasping, is that, in fact, what we do is very much amenable to being parsed out into individual tasks. [03:21] We’re very used to culturally thinking that everything that everything that we do is special when, really, in our day there’s probably a few things that we’re doing that are very special, like forming advocacy arguments, developing strategy for cases. [03:31] A lot of the routine matters, like filing a particular document within the court, or sending out an invoice, or reporting it to a client, these are tasks that are highly amenable to repetition for every particular file that the lawyer works on. Peter: [03:44] How has this work been distributed in the past, not using a workflow within a law firm? Andrew: [03:48] My experience is that firms have actually very functioned and siloed type environments. This would even go back to that term partner, where we really are talking about two lawyers working within one firm. [03:59] Each one might be doing the exact same kind of practice, but they’re very siloed with their clerk or assistant. Each one is actually doing each one of these tasks in a very, very unique manner. [04:07] I’ll use another metaphor for you, would be like the automotive industry. Before the assembly line came along we would have seen garages where there were work bays and everything was lovingly crafted by hand, but no two particular shops were going to build a car exactly the same way. [04:21] Some of the shock or devastation to that particular industry that was making every car by hand was the exact same exercise of taking all those tasks and breaking them down. [04:31] I’d say that the legal profession is at that moment now, of realizing that we are transitioning away from being like the individual shops that made cars by hand to more of an assembly line process. Peter: [04:43] If you can take a real world, let’s say filing a trademark application, how would that type of thing happen in a non‑workflow environment? Andrew: [04:51] Let’s imagine my older scenario where you’ve got two trademark agents sitting beside each other running extremely siloed practices. [05:12] You scale that out through the entire workflow, from beginning to end, and you’ll have each professional doing it in a completely different manner, but they’re all getting to the same result. Peter: [05:20] Some of our listeners might not be familiar with it, so I’m going to ask you to tease it out a little bit more. That full intake that you described, break down the minutiae of that. [05:28] What are the steps in that? What does that full intake look like in a firm that has embraced this kind of workflow methodology? Andrew: [05:34] In a workflow‑type environment, somebody has looked end to end. If necessary stages are engagement letter with the client, a scope of work for the specific matter, a intake to understand exactly what trademark is to be filed and what wares and services are supposed to be attached to it. [05:49] Then the mechanics of actually preparing the application, sending it off to the trademark office, and then sending your report out to the client. [05:56] In a workflow‑type environment all of those stages will have been identified, and when they occur, and target timelines for their completion will all be completely standardized. Everybody in the organization will be required to follow all those steps. [06:09] The powerful part is that each of those individual steps can be assigned to appropriate people, because, for example, the engagement letter ought to be done by a clerk and the collection of retainer funds ought to be done by accounting. Peter: [06:35] What it requires, then is somebody to take a step back and build all this. What you’re building, an architecture for each process in your firm? Andrew: [06:43] Absolutely perfect way to put it. Let’s use the Henry Ford example again. This is that that was Henry Ford’s genius, was to realize that all of these particular ways of assembling carriages could have a standardized component. [06:53] It requires the artisan, the lawyer, to step back from what they’re doing, and aggregate all of their tasks, and really divide them down as to exactly what they’re doing. Natalie: [07:03] You touched on, there, the word “assembly line.” That brings in some of the negative connotations that people have in applying workflows to law in particular. Andrew: [07:12] You touched on an absolutely deep, deep nerve within the legal profession and with clients as to what’s kept us from adopting workflows. From the lawyer’s perspective is that we’ve spent an awful lot of time going to university, a lot of time learning and training. [07:26] We want to see everything that we’re doing as very special and unique. We don’t put a lot of time into thinking about these routine tasks, where we really are focused on the thinking aspects of it. [07:35] We haven’t embraced the fact that there’s a lot of stuff that we’re doing that is highly repeatable. What the lawyer has to do is let go of the things that they’re doing that aren’t that special and embrace, actually, that there’s parts of what they do that is special. [07:49] This is the kind of thing that will actually free them up to do the things that they’re good at and they should be doing. Natalie: [07:54] If I’m a client, my final goal is to file that trademark application. Why would I care how things go on behind the scenes? Andrew: [08:00] This is a very hard part for the client. There’s enormous advantages for the client because you’re basically going to get higher quality and more measurability internally, within the organization, as to whether your file is being handled in the most time efficient, cost effective manner as possible. [08:16] It is hard for clients, though, because if you walked into a Lexus dealership and you got a Lexus, whether it came off the assembly line or is handmade in a shop, you don’t care. All you know if that you got a good Lexus. [08:25] It was worthwhile if a client can appreciate that you’re probably getting a better value vehicle, because it came off an assembly line with a very disciplined process. Natalie: [08:33] I think, too, from a safety perspective, if you know that that car production followed a very systematized process, you know they didn’t miss anything. [08:40] Whereas if you have a lawyer who is flying by the seat of his pants, as it were, they could very easily miss something, and then your trademark application is in hot water. Andrew: [08:49] Exactly, exactly. The benefits on the backend for the client are enormous, and if you can appreciate that if something’s being done in a standard, disciplined manner, that they’re probable going to get a better product. [08:59] This also, of course, folds into the aspect of fees because on a pure hourly rate model a lawyer is, quite honestly, incentivized to not be particularly efficient with what they’re doing. “[09:08] I’ll think about the engagement letter, and then maybe I’ll go off and get a coffee, and check my watch. OK, yeah, .8 elapsed.” What was the value that the client actually received out of that? [09:17] In a workflow environment...value is a huge, huge issue for clients nowadays. How do they measure that they actually got some real thinking value? They weren’t paying you for going and getting your coffee. [09:27] Once the lawyer has carved up their task into workflows, the value and the cost associated with each one of those tasks is much, much easier for the lawyer to understand, and then also much easier to convey to the client. Peter: [09:38] I’ll tell you one of the main why I’m a proponent of workflows, is because it frees me up to add value to a client’s matter where I need to. I get rid of all the distractions, which allows me to have the entire time I’m dedicating to a client’s file to get into the more creative aspects of our job, like you were talking about earlier, setting strategy or drafting submissions. [09:59] I find that carving out space to allow me to do more of that is always going to benefit a client. Is that what you’re finding, as well? Andrew: [10:04] This is what happens when the lawyer gets over their fear and they start embracing this. They actually realize, is that you’re not getting distracted by things that you really shouldn’t be distracted by. [10:14] You’re in there, you’re rolling up your sleeves, and you’re helping your client. Natalie: [10:17] Less stressful, too, I’ve found. You’re not thinking, “Oh my god, did I send that engagement letter?” or anything like that. [10:23] There’s a system in place, you trust it, and at that point you know you’re not missing anything. Andrew: [10:26] Absolutely, because you can sit there and see in the screen that it’s done. It’s a fascinating thing that when our firm went through this transition there was enormous resistance, there was enormous fear, and there was enormous reluctance. [10:35] Nobody would go back now. Everybody sees it, but getting through that hurdle of adjusting and rewiring yourself is the painful part. Once you’re there it’s completely obvious, all the advantages are so inherent for the client, and for you and the firm. Peter: [10:46] What was the fear? What was the reluctance? Andrew: [10:49] It’s a fear that you’re being commoditized, that a robot’s taking over, doing what you were doing. That would be anathema for a lawyer because for a very skilled bunch we’re a remarkably insecure bunch, as well. Andrew: [11:00] Do we want to see ourselves as McDonald’s employees? Of course we don’t. But we’re not. All we’re doing is taking out the things that are highly repeatable. Peter: [11:09] When did you first introduce this idea to your firm? How long was the resistance period, and when did you start building? Andrew: [11:16] The firm is about 10‑years‑old now, and we bought a software package that’s capable of doing workflows. We had it available from day one. I realized about two years into it, it was like having a Porsche where there was no gas in it, and there was a first drawing the front of it. [11:30] This came about because we had a very, very large client who began to impose flat fee tariffs on us, and we were no longer allowed to bill the hourly rate. They also were using auditing metrics of us, about how timely we were, so we knew they were watching us. Peter: [12:10] Sorry to interrupt. This is just you with a piece of paper, and people that you work with, mapping all this out? Andrew: [12:35] You sound like you’ve been there. Peter: [12:37] This sounds familiar. Andrew: [12:38] That was just the architecting phase. I actually stepped out of my practice for about three, four months, and lived inside another sub‑architecting, and then I brought in a co‑op student. Andrew: [13:00] Right. The main resistance was just like I described to you, trademark agent A was maybe doing an engagement letter sometimes. Was doing their full intake on the trademark filing, and filing the case without getting the retainer. Meanwhile, trademark agent B was handling it in a completely different manner. [13:17] They were getting an engagement letter, so once the standardized came out and said, “Everybody’s going to follow this particular pattern.” “No, I don’t want to do that. I’m special. I do it my way.” I’m being harsh on my staff, because they’re awesome, and they’re great people. Peter: [13:32] They don’t sound like that. Andrew: [13:33] They don’t, but I think those were the feelings inside. Natalie: [13:36] When you guys were choosing the standardized process, how can you choose between the practice of trademark agent A or B? Andrew: [13:42] One of the issues is trying to abstract things out, as high as you can, but you can’t go too high, or you’re saying nothing, because the workflow could just say, “File a trademark.” Then it could also get down to the absurd of, come in in the morning, sit at your desk, orient your monitor to a 22.5 degree angle. [14:00] Trying to find that middle ground was even the first problem. Then, as between the two practices, sometimes it was a coin flip. Sometimes the Law Society rules, they tell you. Natalie: [14:09] Did you guys hold discussion meetings and things like that? Was there a lot of input from everybody? Andrew: [14:14] That was another very tough one. We tried to strike the balance of getting as much consultation as possible, but then it becomes a herding cats exercise. At a certain point, somebody at the leadership level just had to push it down. Natalie: [14:26] I’ve found you can increase buy‑in and reception to things if you can have a reason, you can explain it better. How did you explain your decisions to everybody? Natalie: [14:43] On that client, that’s awesome. Peter: [14:45] How sick is that, that I’m like, “That’s a great client to have.” I guess it’s no doubt that, in the long run, you were happy to have that client. The three of you go into the room, six months, you think about this at a high level, then you come out and present to the staff at that point, and get your feedback? Andrew: [14:59] It’s very iterative. It would be, here is where we got to at this particular point. One of the first things we had, workflows, but again, they were the ones that had shipped with the original software. They didn’t suit us at all. The first step was that we came out and showed people, we are going to standardize. [15:15] We got it down to about nine different types of workflows. They will follow this particular format. The next thing we did, we studied what was the most repeated task inside the firm? At that time, that was a step in the patent application process where the application has been initially rejected. [15:31] It’s one of the advocacy points in the process. You file the application, and then the patent office almost always comes back and says they don’t like something. That was the highest volume task inside the firm, so we took the standard template that we had built, and that became the process that everybody had to follow. [15:45] Then, we actually did get around to consultation with everybody. How is this working? We talked to every practice in the firm. Is the serving your purpose? Is it too granular, or is it too general? We came back from that exercise and tweaked the overall, general architecture, and then we just took the next test that was done the most in the firm. [16:01] Over two to three years, every task in the firm was converted over to that standardized type of workflow format. Peter: [16:07] I think you mentioned this before, but you believe that these things need to be built by a lawyer? The architect needs to be a lawyer? Andrew: [16:13] I’m schizophrenic on this, because I’m a lawyer, and an engineer, and I have to tell you that I really access the engineer side in me than I was accessing the lawyer side in me. What was your experience? Natalie: [16:21] Having the lawyer background helps. I wouldn’t want to see people in a room without a lawyer trying to build it. Peter: [16:27] For a couple reasons. In terms of understanding the process and all that, but also because I know the quality output that I want. I thought it was important to have us infused in that. Without sounding silly about it, the spirit of our firm is built into the workflows themselves. Andrew: [16:42] Totally get that. Peter: [16:43] I don’t know if you can have an outsider come in and do that. I mentioned to you, before the podcast started, we built our workflows twice. Now, maybe if we had your background, we wouldn’t have had to do that. As we were talking, before the podcast as well, we’ve stumbled upon concepts that you know, even Gantt charts and things like that. [17:00] As we built the first set of workflows and they failed, we said, “Why is this failing?” We built it back up again. we are self‑taught in that way, but it would’ve been nice if we had a little bit more, formal training. Andrew: [17:11] It’s so impressive what you guys have done. First of all, I’m learning from hearing this, of course I was using my lawyering side of myself. I had to, because I was using the end product that I was actually delivering there. [17:19] I guess what I was doing was drawing back to the time I had in the assembly line, but you guys did it without any of that need. What you did is, you were able to step back and really look at the tasks, and how to divide them out. You know your business, and you know what you’re doing. [17:32] I may have had the benefit of being able to look back and see a car being built from beginning to the end, but you know the products you build, and I would be my advice for other people out there that are doing this. You don’t have to go to the extreme that I was suggesting. Just have the courage inside to step back and look at what you’re doing. Peter: [17:46] We probably would not have made some of the mistakes that we did. Probably would’ve had a more straight lined path. Our process in developing these was a lot longer than yours. Like I referred to, we had a lot of people on this. We had the entire firm on this for, how long, two years? Natalie: [18:00] Yep, pretty much. Peter: [18:00] We bled through this. I don’t you know how we came through the other side. Peter: [18:09] Especially when the first one failed. Then we’re looking at each other, and we’re looking at the people that we’ve now brought on board for this, and said to them, “This is the path forward. This is how we have to do things.” Then we completely sh*t the bed on this first set. [18:24] Now we have to go back to them and say. “Hey guys, remember how this was the path? We’ve got to move on to this other road, and start from scratch again.” It was the craziest. Natalie: [18:33] The turning point for us was actually nailing down the core process. It was a main building blocks. What does it take to take a submission from a lawyer’s head, get it to wherever it needs to go, and get it to the client? Once we figure that out, everything else became really simple. [18:59] Whereas you’ve had the foresight and the knowledge not to be that foolish. Andrew: [19:03] Cool thing though is, you guys have blazed the way. The next generation of lawyers that you bring in, they’re going to be enculturated into doing this. They’re going to think this way right from the word go. [19:11] It’s hard being that transition generation where you’re throwing out the book, the old way, and coming at the new way. It sounds like you guys have done an amazing job. Peter: [19:18] What’s neat is...I wonder if you have this experience in your firm. The people that are hired to our firm that reject the methodology, don’t last here for long. That’s because they identify themselves as people who don’t fit in this firm, because they don’t think this way. Andrew: [19:31] I’m totally with you. It’s now actually an HR‑angle. I won’t say problem, it’s not the right thing, but when we are recruiting, we can have a fit in a whole bunch of other categories, and this particular one, if they can’t buy into it, if they want to do the practice the way they were always doing it before, we don’t have a fit. [19:47] It’s made it harder to recruit. Peter: [19:49] Do you find that generational? Andrew: [19:50] I thought so, but no. I’m finding that I’ve had younger professionals come through, that just can’t put their arm around this. The efficiency of the organization and the standardizing for the clients, we have to have people that will embrace it. Peter: [20:02] I’ve seen that as well. I think it’s interesting. This allows all of us to gain a level of independence, creativity, freedom, that we would never otherwise have. Andrew: [20:24] Absolutely. These experiences we’re having are so similar. Natalie: [20:27] I will say that workflows has been a great learning tool for people, as well. It’s been wonderful to have new people come on board and instead of having to go through a training process with every individual, you can see that the workflow will set everything out for them. [20:39] Everybody catches on really quickly. Andrew: [20:41] We live in parallel universes. At that rate it becomes a training tool. Natlaie: [20:44] If I could just talk from a practical side. If I’m a lawyer and I’m interested in implementing workflows, how would I take something from a picture or an idea and get it into a functional system the people in my firm can use? Andrew: [20:56] You have a challenge of figuring out what software package you’re going to use. The salespeople at all these places will tell you that they’re the most wonderful package out there. [21:04] We’re based off a system called “Patricia”. It doesn’t necessarily matter what workflow engine that you’re built on, but you’re going to have to pick one. [21:12] Even after you picked it, you’re going to have to accept the fact that it’s not going to work out of the box. The salesguys are going to tell you it will. Peter: [21:18] Yeah. It does nothing out of the box. Andrew: [21:21] The salespeople between these organizations, they will all try to push that on you. They also then, may go too far the other direction. That after you bought it, it doesn’t work, be prepared to sell you hundreds of thousands of dollars worth of consulting services for them to come in and do it for you. Peter: [21:34] Oh my God. Can we just stop on that for a second? What do you think of consultants in this space? Did you try to use them? Any value? Andrew: [21:41] I’m very skeptical of using consultants. Ironically, now that I think back on it, they have the same trap that we do in the old billable hour model. There isn’t an incentive for them to get to an end‑game. [21:52] You’re far better to staff up internally. I’ve seen big places, that we’ll all know the names of, we don’t need to mention, that will spend a fortune on the package and they will spend a fortune on consulting and get a very weak result. [22:05] You do not get that cultural buy‑in. You get a very bloated, complex system that nobody really uses. Natalie: [22:10] We’ve talked about how much investment you have to put into this. Have you done anything to try and measure the return on that investment? Andrew: [22:17] It’s a soft measurement. All I can say is, my particular area of law, intellectual property, is going through a massive upheaval. We were considered to be a recession‑proof area of law for 30, 50 years. [22:26] Starting in 2009, 2010, the supply‑demand curve inverted. There’s now too many of us. Our firm continues to grow and we continue to grab client share. [22:35] I know from dealing with RFPs and so‑forth, these are the questions getting asked. We had an RFP come into us recently saying, “Will you agree to timelines and will you agree to financial penalties if you do not make those timelines?” For me it was, yeah, I can do it. [22:50] Things like a RFP...I just saw the questions and answers coming in from other firms. I can read between the lines seeing they’re all floundering on how to respond to this. How to manage it internally. [22:59] I can’t put a number on it other than that I think our overall firm performance is not reflective of what I see is going on in the broader market right now. 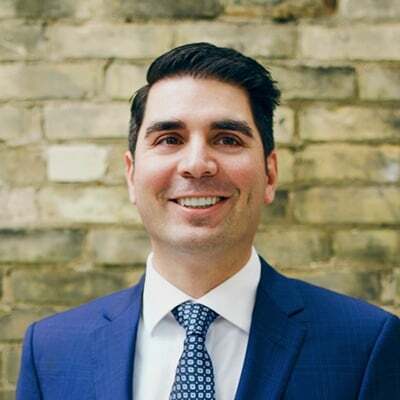 Peter: [23:06] One of the things our firm is learning, while we’re going through this, is, “I really love working with clients that want law firms to work this way.” It’s almost becoming a barrier to entry to being a client here. [23:16] When clients get it, when clients appreciate what we do, then I know how they run their business. It allows me to understand, this is a like minded client and these are people I want to work with and it does the same for them. Andrew: [23:29] Another point of difference that comes out is that the expectation that things will be flat‑fee, that they will be able to have cost predictability, it’s easy to do cost predictability now. Peter: [23:38] Are you tracking time, so that you can figure out whether your flat‑fees were accurate or not? Andrew: [23:43] That’s a great question. We’ve left the ability to track time in the system, but our metrics for our Associates are straight dollars now. There’s no hour intermediary. [23:55] They have a dollar target to hit. You can organically figure out, are they being efficient or not. They, themselves, will see for this particular task, these are the dollar values. [24:07] The ability to track is still there. We’ve kept it for auditing purposes, but I’m finding that there’s nothing more real than dollars. [24:13] The professional themselves, they’re loving the fact that they don’t have to keep dockets. All they do is mark the task done in the workflow. Peter: [24:20] We’re still tracking time. Even in flat‑fee instances, to compare it against the flat‑fee. We also have the tasks that are part of our workflow, we’re putting time expectations in there. If that makes any sense. Peter: [24:30] We’re drafting a Notice of Appeal, we expect it to take this many hours. We can compare that against what it actually took that person. We can figure out, are those expectations reasonable, what does that say about the persons performance for that task and what does that mean in terms of quoting a flat‑fee and whether that was accurate and fair to all parties involved. [24:46] What are the things that lawyers should know about workflows? Then I’m going to ask you things that a client should know. Andrew: [24:51] Lawyers should know that it’s difficult to get there, but once you’re there the efficiencies are absolutely worth it. You should invest that time and not be afraid of them. Peter: [25:02] And for clients? Andrew: [25:04] They should be asking firms more and more about whether they’re doing it. Ask your firm what kind of project management or workflow process do you have. How is that measured financially within the firm? Does everybody follow the same ones? Peter: [25:16] Just one point to that, in terms of the clients asking those questions and getting responses, I’m seeing a lot of people using the language, that we’re using in terms of project management. [25:39] Give two questions that clients could ask, to really understand whether there’s any meat on that bone. Andrew: [25:45] In my particular branch of law, I would say, “Show me a report of a task list.” This is where the rubber hits the road. If workflow engine is done properly, that to‑do list is automatically available every single day for every professional organization. [26:08] In my world you were under the radar. I didn’t know that you were doing it. Who else fits that mold? Andrew: [26:14] It sounds very narcissistic, I’m not hearing, in the Canadian marketplace, anybody. Even in the US marketplace, I don’t get the sense that many are. I did run into a firm in Minnesota, called Schwegman, Lundberg. [26:27] While they seemed to be like us, they’re American of course, so they’re bigger than we are, but we have two full‑time programmers, they have four full‑time programmers. When we were talking about things like the automatic recognition of documents, they had a team that was working with that. [26:41] Honestly, I’m not hearing about it that much. When we were investing all that time in these things and I would talk to people, people thought we were crazy. Peter: [26:47] Part of the reason why we’re doing this, and you’re reflective of this, we started this podcast because we were finding very few people. The fact that we are now sitting at this table with you, is the purpose or the reason why we started this. [27:01] I would encourage anybody who’s listening to the podcast to leave us a note and to help continue to expand this network. I do very much think that meeting you has helped our practice in the short term. I expect that to continue in the long term and hopefully you can get something from us, as well. [27:14] The greater this network grows, the more willing people are to share these different ideas, we will all get better faster. Andrew: [27:21] Thank you very much. I likewise feel this is very validating. As I say, when we were doing this, people thought we were nuts spending that much resources at it. Lo and behold, you guys went through almost the same process that we did. [27:31] It’s suggesting that if you’re going to make this transition...two independent case studies, we never compared notes beforehand. Your journey sounds very similar to ours, suggests that other people will have a similar journey as well. Peter: [27:40] Thank you so much. Really, really appreciate it. Andrew: [27:42] Thank you so much. Peter: [27:43] Best podcast episode ever. Natalie: [27:44] It was really nice to meet Andrew. I think he’s absolutely wonderful. Peter: [27:55] Why was it nice? Because you don’t feel so alone anymore? [28:07] I didn’t know there were other people out there who were doing this. It’s so nice to finally meet one. Peter: [28:13] I met Andrew before the podcast. I knew he had done it. I didn’t realize that they went through just as much pain or similar amount of pain that we did throughout this process. [28:22] It’s important that people get A, the value of this. B, understand going into it that it’s going to be a lot of pain. C, you’re going to have to roll up your sleeves and do this. [28:32] They took a step back to take a series of steps forward. Which is exactly our experience. Natalie: [28:36] Being able to talk to Andrew would have helped us immensely. It was nice to hear Andrew talking about, he’s not afraid to open up and let somebody see his system. He would have been a great resource while we were building ours. Peter: [28:47] Absolutely. That’s what I hope this particular episode gives to people, some sense of what workflows are, what it takes to build them and some of the struggles they’re going to face. If people get that and have that knowledge. [28:58] That would have helped us a lot. Natalie: [29:00] It was interesting too, because he’s doing this in the context of a larger firm and dealing with that buy‑in issue. We didn’t really have that same roadblock. [29:08] You see more and more large firms are getting on‑board with, “How can I move forward? How can I make myself more efficient?” His firm is living proof that you can do that. Peter: [29:18] Similar to us, he’s taken this step, they’ve invested this time and energy and effort. Now they’re already looking to what’s next. That firm is going to be way ahead of the pack for a very, very long time. [29:28] They’ve created the separation now. They’re about to do it again. Natalie: [29:31] It sounded like they really customized the engine that they’re using. I believe it was Patricia. Hearing that they’ve got full‑time programmers on‑board customizing that, that was really interesting. [29:40] I know he wasn’t able to suggest too many other engines that use workflows. I don’t know if you know of any more. Peter: [29:46] There’s tons out there. This is new to law. This isn’t new to the rest of the world. Arguably, you can take any workflow engine, as he said, it doesn’t matter. The engine itself doesn’t matter. [29:56] It is going away and looking at your entire process, all the steps within that process, all the tasks and doing the hard work of building that out. Once you’ve built that out, it can be mapped into any workflow engine. Natalie: [30:07] I would love to hear if anybody who’s listening, knows of a good workflow engine. We would love to take a look. Peter: [30:12] Or if anybody has built workflows, some of their experiences, if you could share some of those, or anybody who’s thinking of workflows, what barriers are they experiencing in the initial stages? Natalie: [30:21] I would love to speak to more people who are building workflows. There’s got to be more of us out there. If anybody out there is building a workflow and wants to talk about that process, get in touch. Peter: [30:30] Just hit the comment section on the buildingnewlaw.ca website, or you can hit us up on Twitter. If there are any follow‑up questions for Andrew or anything that we can help out with we’re happy to respond. Thanks so much, see you next time. 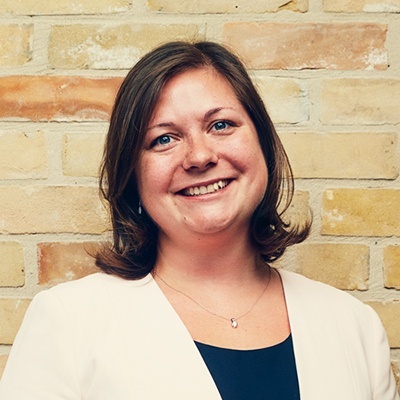 Natalie: [30:52] For this episode’s show notes and transcript, please visit our website at buildingnewlaw.ca. We’d love to hear from you and if you have any feedback, feel free to send an email to info@buildingnewlaw.ca, or come and find us on Twitter at @buildingnewlaw. [31:07] Don’t forget to subscribe on iTunes, our website, or wherever else you get your podcasts. This has been Building NewLaw, join us again for another episode exploring the approaches, processes, and tools that are redefining how we practice law. Sponsor: [31:25] Thanks for listening to the Building NewLaw podcast, brought to you by Counter Tax Lawyers. To learn more about Counter, go to countertax.ca. Lawyers that have completed the S01E06 BNL CPD can claim a 40 min Professionalism CPD credit. To access the S01E06 verification examination click this link.